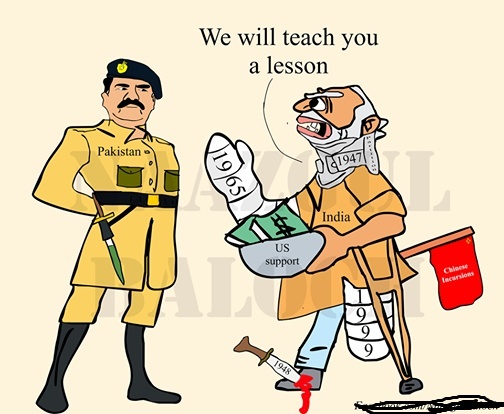 Indian are programming their people that a major war with Pakistan is due and close. He is actually warning of a brief war in November ! This is clearly a mass programming of the collective Indian national psyche to prepare them for what Modi wants -- a war with Pak. These are signs that we have to monitor to know and connect the dots to predict the geo-political scenarios. This is our job to do and when we make an analysis, the wise understand but the idiots can only mock and make fun ! Hear these Hindu Zionists yourself !